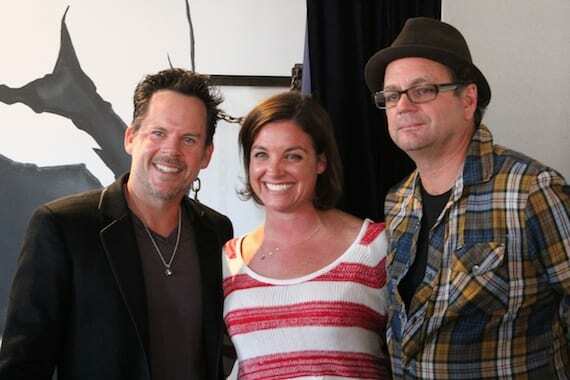 Gary Allan is headlining the 2012 Country Throwdown Tour Fired Up by Kingsford. He and tour co-producers Sarah Baer and Kevin Lyman discussed the upcoming trek with members of the media on Monday (2/27) during an event at Allan’s Nashville store, The Label. Josh Thompson, Eric Paslay, and Sunny Sweeney are set for the full tour, opening May 18 in Gulfport, Miss. and visiting 20 cities through July 8. Special guests on select dates include Rodney Atkins (June 1-30) and Justin Moore (May 18-27). Newcomers Florida Georgia Line and Maggie Rose are also scheduled for the run. One of the tour’s three stages will spotlight emerging singer-songwriters. Performing on the Bluebird Cafe Stage will be Channing Wilson, Rose Falcon, and Carly Pearce. The third-annual, outdoor amphitheater trek is produced by 4 FINI Inc. No Nashville date is scheduled at this time.